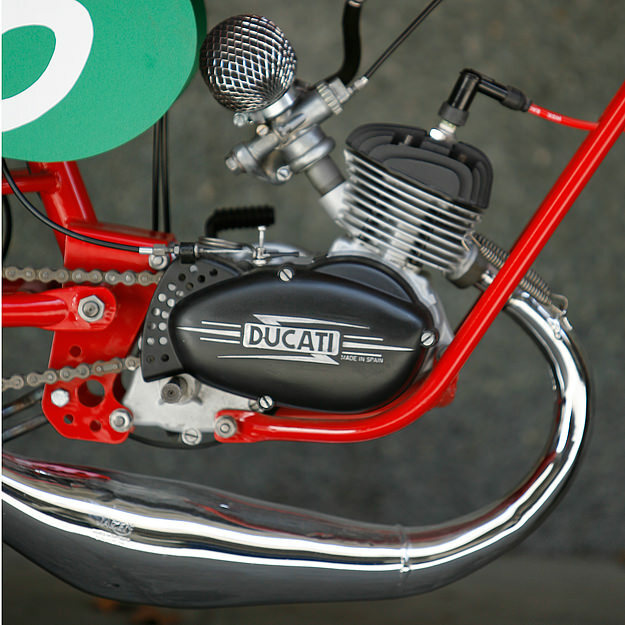 Radical Ducati is best known for its ultra-desirable transformations of contemporary superbikes. 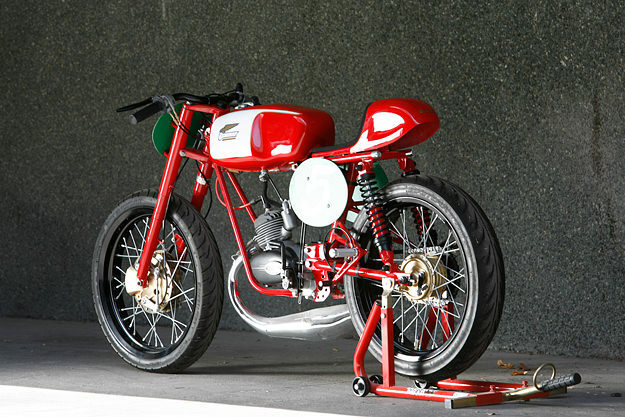 But the Spanish company occasionally turns its hand to vintage machinery, like this beautiful little ‘Sportiva’. 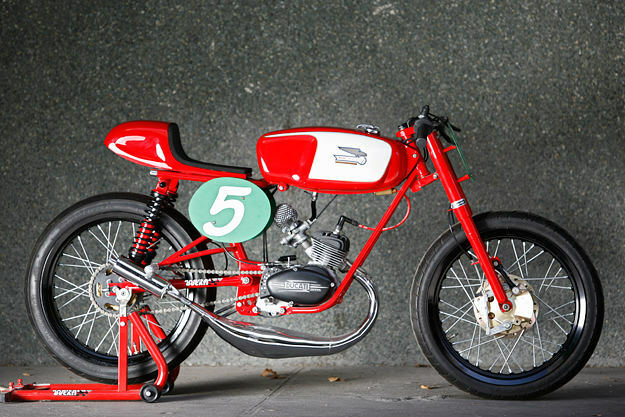 It’s a 1962 Ducati 48 Sport—which was known as the Falcon in the US. 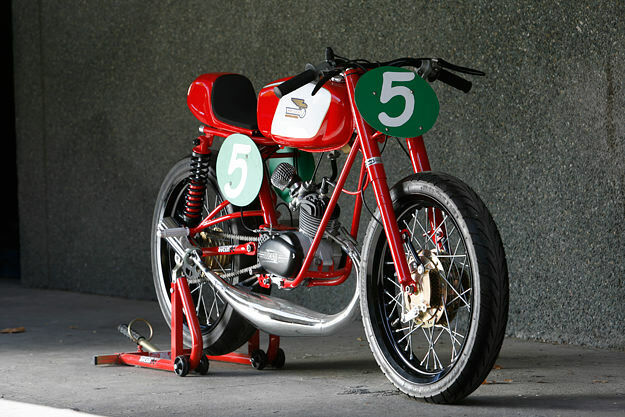 And despite its diminutive capacity, this two-stroke was capable of a healthy 50 mph. Radical Ducati has listed the Sportiva as a ‘show bike’, so it’s not suitable for road or track, but it’s eye candy of the highest grade. The engine is stock, sitting in a modified frame. 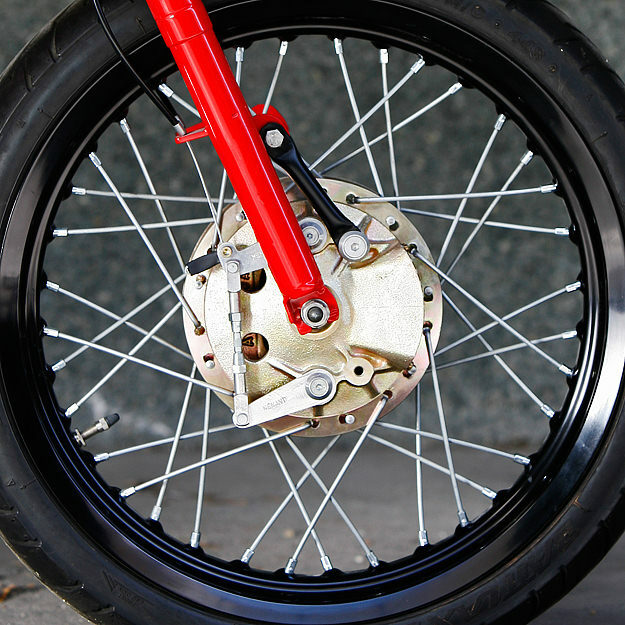 Other upgrades are quality items: 17” aluminum Akront-Morad rims (shod with Dunlop race tires), a magnesium GP-style front brake, Betor shocks and a race solo seat. Interested? It can be in your living room or garage for just $4,000.